If you were to write a memoir about you and your sewing, what would be your snappy, marketable title and tagline? 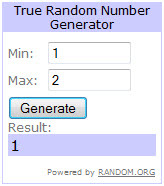 The Random Number Generator selected entry #1 for “Pressing Matters”! With only two entries, I ran the Random Number Generator in a best of 5, just to be fair. Congratulations, Marie! Trying to buy an iron has become an adventure over the last several months! Who knew there was so many systems to select from. And the price range started at $100 and went up to the cost of a used car! I really don’t need to drive my pressing system on the road!! 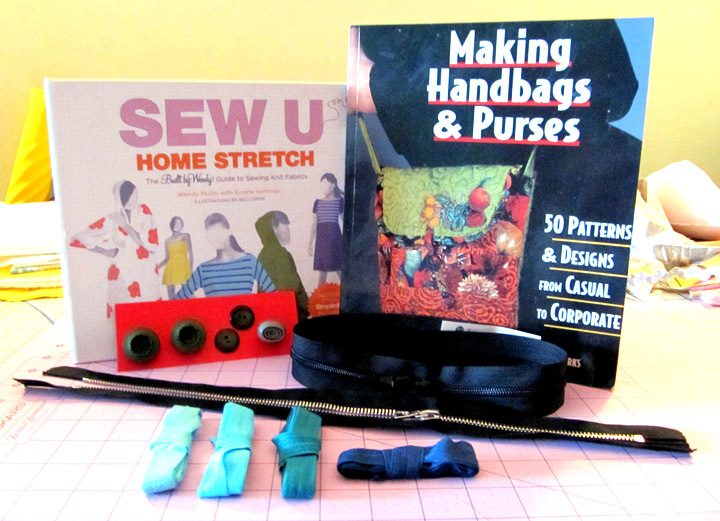 Marie wins the Sew U and Making Handbags & Purses books, zippers, buttons and fold-over elastic. Since we only had two entries, I just couldn’t let our other fabulous entry go without merit. So, for the hilarious memoir titled “I Came, I Sewed, I Conked Out”, CKSewist will also win a prize. 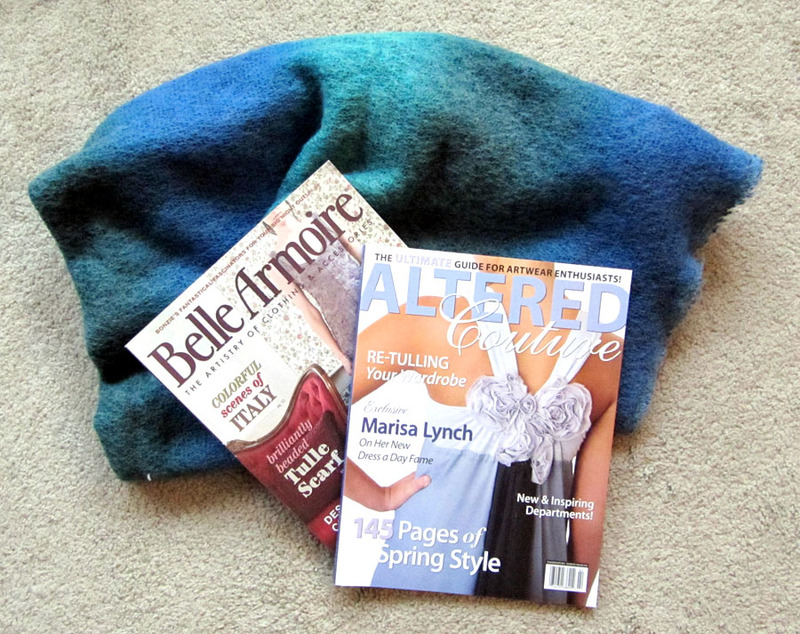 CKSewist will win a yard of blue-green ombre mohair and two altered couture magazines to continue her sewing (and conking out). A woman of a certain age goes to her local ASG chapter’s retreat where she eats too much pasta, drinks too much wine, stays up all night finishing UFOs, and passes out on a cutting table as all around her are women packing their machines into attractive wheeled carrying cases for the trip home. Email me at tinawong[at]asgchicago[dot]org to claim your prize! Send me your mailing address and I will ship it to, so you can continue your sewing journeys! Hello, dear readers! We’ve reached a milestone…well, actually, we reached it a while ago. We have been on Twitter and have 265 followers and have sent more than 2,000 tweets of tips, news and tutorials. That’s a lot of stuff to share. Now in standard Twitter-quette, I should have had a giveaway when we hit our first hundred followers as a thank you (THANK YOU! ), but that slipped by me, then 200 slipped by me. Then my 1,000th tweet slipped by me. Then National Sewing Month slipped by. But, I still wanted to take the opportunity to thank our followers on Twitter and of this blog, so WE’RE GONNA HAVE A GIVEAWAY! I’m inspired by America’s Test Kitchen blog post Silly Question of the Day: Faux Food Memoirs. America’s Test Kitchen asks readers what the title to their food-centric memoirs. I thought it was so much fun, so why not ask you, dear readers, to give a thought to your sewing adventures or your sewing journey and share your self-titled tome. Or maybe it’s a novella! Would it resemble any of these? Feel free to expound on the general theme, plot, and (juicy) narrative. Leave yo ur silly answer in the comments section below! Let’s see what everyone’s story is for the next two weeks. 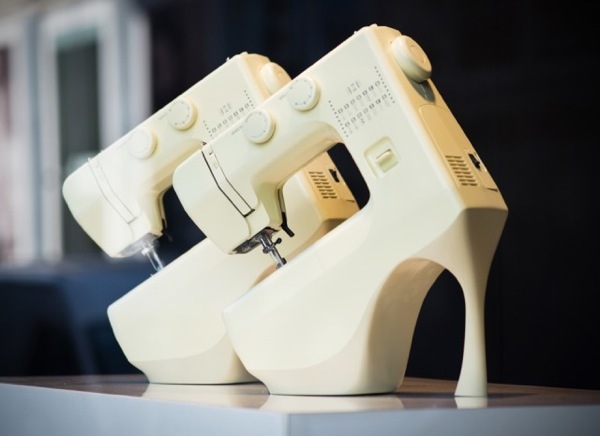 Entries have to be in the comments section by midnight Central Time on Saturday, October 15…the day of the American Sewing Guild Chicago chapter’s annual Fashion Show! Have you sent in your reservation, yet? Don’t forget we’ll have raffle prizes and our fabric sale and the great bargains of the Pattern and Book Sale! 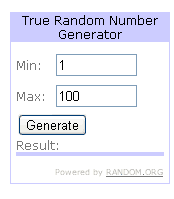 After having a giggle, we’ll use the Random Number Generator to pick the winner. Of course we have to have a prize! For this giveaway, we’re focusing on garment and handbag sewing. No worries, future giveaways will have something related to quilting, heirloom and other types of sewing. A card of vintage buttons in shades of green. So leave us a title, a plot and have fun telling us your sewing journey! Good luck! Edit: Due to postage, the giveaway is limited to U.S. mailing addresses. But, if you’re not in the U.S., we’d still love to read your sewing memoir title.